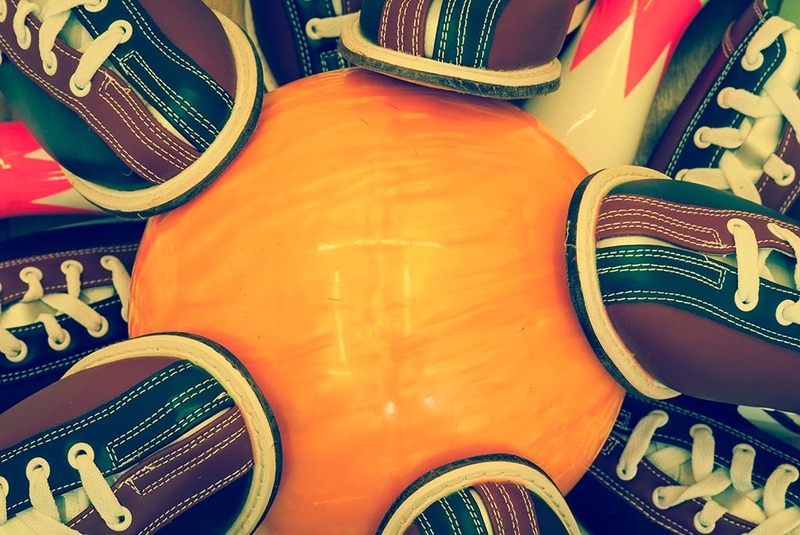 We are excited to be a part of the 4th Annual Duck Derby/Fall Family Festival! 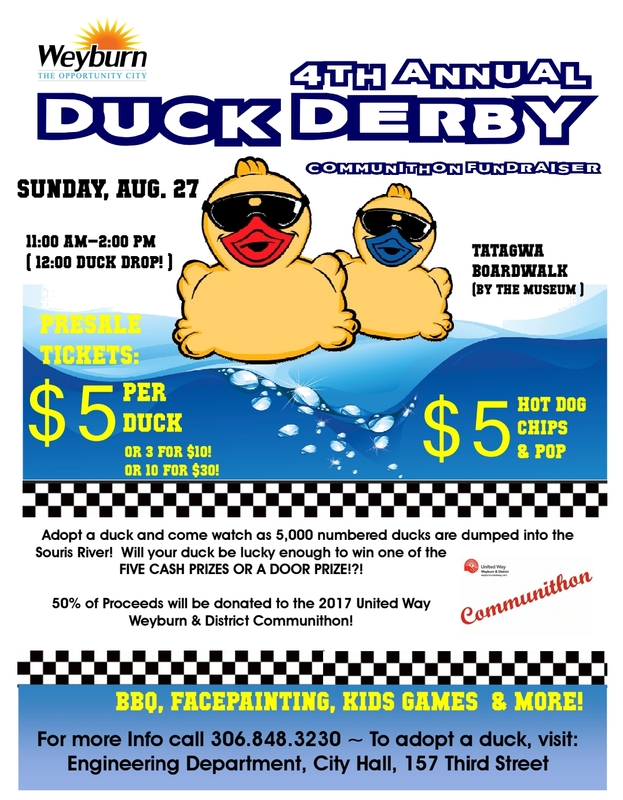 This exciting event will quack-off on Sunday August 27th in conjunction with the Weyburn And District United Way Kickoff! The Ducks Drop at noon on Sunday and are only $5 each. 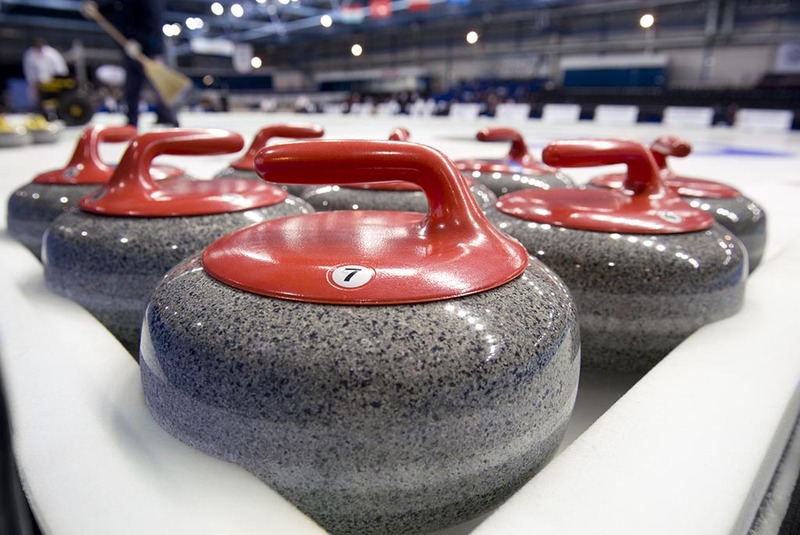 Tickets (Ducks) are available from City Hall, Police Department, Public Works, Leisure Department and members of the Weyburn and District United Way and are ONLY AVAILABLE UNTIL end of day Thursday August 24th. So, get yours now and don’t miss out!! There will be face painting, balloon animals and the Weyburn Therapeutic Animal Park petting zoo. Not to mention, bouncy houses, barbeque, and all manner of entertainment that is sure to fit the bill. It will be great fun for the entire family. We are excited to announce we have many wonderful things planned for 2017. One thing we are happy to announce is our fresh new, easy to navigate website with donation feature! Check back often to see all the wonderful events, programs and partnerships we will be listing for 2017. Thank you, Weyburn! This year was a great success this year. With 22 teams participating and spectators who came to cheer their teams, we had a successful fundraiser ! With the help of many great Silent Auction items and a special appearance by Weyburn’s own Saskatchewan Roughrider, Brendon LaBatte, we raised over our goal of $20,000! We are very grateful to all our sponsors who made donations, silent auction and door prizes and in-kind service donations. A BIG THANK YOU TO EVERYONE!!! Kids N Kops is our fun and exciting summer program provided for the kids in Big Brothers Big Sisters in association with the Weyburn Police. 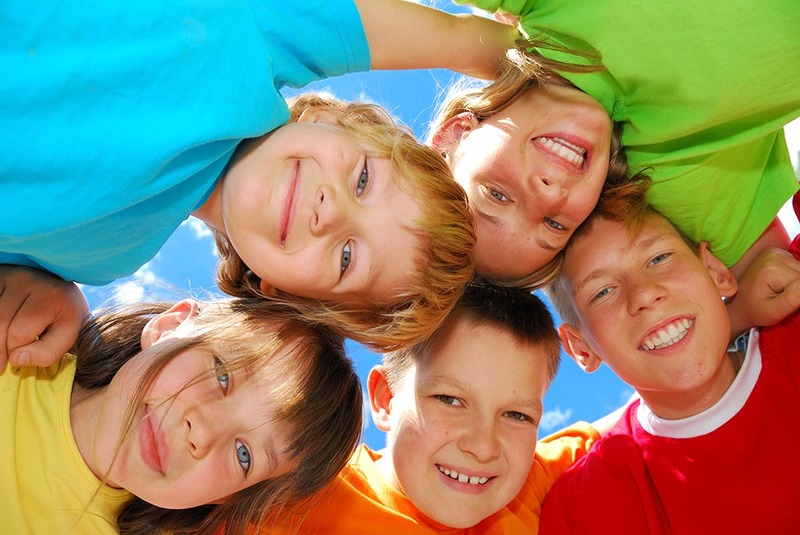 Kids N Kops provides fun activities for the kids to partake in such as being in the parade, going to the waterslides, many out of town trips such as the RCMP Hertiage Village and numerous other exciting activities!